A cheaper and more efficient manufacturing procedure for PEM fuel cells' MEAs. 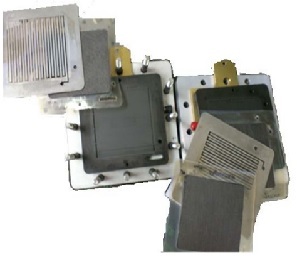 A innovative configuration of PEM fuel cells' stacks. New processes of clean hydrogen generation from biofuels. Clean generation, in-situ & on-demand, of hydrogen from water. Integrated generation of oxygen & hydrogen for AIP systems. Clean generation of hydrogen, for human waste energy recovery systems. A new generation of thermionics materials. The integration of these energy technologies in our products facilitate their high performances, well above what is currently available in the Market. Please find below a summarised description of each technology above indicated. For further information, do not hesitate to contact us and we will gladly attend your request. Distribute more eficiently the layers that make up the MEAs. Drastically reduce the use of platinum-based catalysts, improving their use and distribution. Reduce substantially the cost of manufacturing the PEM Fuel Cells, compared to what is currently available in the Market (more than 30%). Distribute more efficiently the active catalytic centers in the catalytic layer. To facilitate more efficiently the diffusion of fluids from the gas diffusion layer to the active centers of the catalytic layer. Drastically improve the ion transmission of H + ions between the catalytic layer and the electrolyte. Maximize the electronic transmission, through a better electrical contact between the layers. Maximize the flow of the produced water, favoring the hydration of the polymeric membrane and the final extraction of the water produced. A more homogeneous and efficient distribution of the layers that make up the MEA. A drastic improvement in the electrical performance of the MEAs. A large reduction of manufacturing costs of the fuel cell. Una distribución mas homogénea y eficaz de las capas que conforman la MEA. Una drástica mejora de las prestaciones eléctricas de las MEAs. Una gran reducción del coste de fabricación de la pila de combustible. La recuperación eficiente del agua producida en la pila de combustible. - A proprietary new configuration of PEM fuel cells' stacks. Drastically reduce the thickness of each cell (three times less). Increase the electrical conductivity, by decreasing the thickness and area where electrons circulate. Improve efficiency in the distribution of gases, increasing their speed. Avoid diffusivity between the parts where the gases circulate. Favor the circulation of water from the cathode, avoiding the appearance of condensation. A more homogeneous and efficient distribution of gases (hydrogen and oxygen / air). A very high reduction of the weight and volume of the "stacks". A drastic improvement in electrical performance. The efficient recovery of the water produced in the fuel cell. The use of new catalysts, specifically developed. An efficient conception of the process and the morphology of the reactors..
We have a great experience in biofuels, especially in alcohols, such as bioethanol and methanol, and biogas. Drastically reduce the weight and volume of the biofuel processor. Improve the integration and thermal efficiency of the process. Reduce the use of water to the maximum. JALVASUB Engineering SL has at its disposal, exclusively for its HYCOGEN energy systems, a novel and very efficient process patented by Drage & mate International and which we call METALIQ, to obtain pure hydrogen, obtained through the exothermic reaction of water displacement. from a METALIQ primary reagent formed by alkaline, alkaline earth metals or alloys of both, which is contained in a removable cartridge. 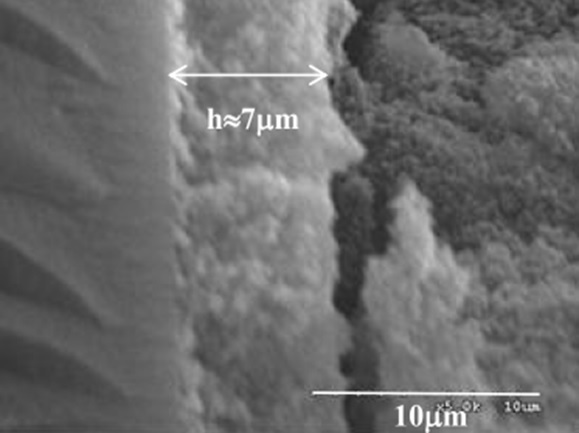 Generates pure hydrogen on demand and in-situ. It is a passive system (without mobile parts). It has a simple logistics based on interchangeable METALIQ cartridges, loaded with the METALIQ reagents. and where internally place the reaction. It provides a high autonomy with the least weight and volume. It does not produce noises or smells. It has very low signatures (infrared, acoustic and visual). It does not require energy to start. It starts instantly. It is totally outside the carbon cycle. It does not generate gases or CO2. It does not generate waste. It is totally modular and easily adaptable. There is worldwide availability of METALIQ reagents. It provides an energy density in weight greater than 900 Wh / Kg, depending on the METALIQ reagent to be used. - Electrical propulsion for unmanned vehicles, especially aerial and underwater ones (UAVs y UUVs). - Portable compact energy systems. 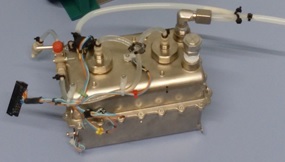 - Integrated generation of oxygen & hydrogen for AIP systems. One of the main difficulties for the use of systems based on low temperature fuel cells for the anaerobic propulsion (AIP) of submarine vehicles is the complex storage of oxygen / air inside the platform. JALVASUB Engineering is developing a proprietary novel catalytic process of generation of oxygen, in-situ and on-demand, which we call GENOX and by which an adequeated oxygen is obtained for its use in fuel cells, giving as a byproduct the required water to feed the METALIQ process, which consequently, will obtain in-situ and on-demand hydrogen. The integration of the GENOX and METALIQ processes facilitates the integrated generation of oxygen and hydrogen in an efficient, very compact and highly efficient way. JALVASUB Engineering has at its disposal novel proprietary catalytic processes, already tested at the prototype level, for hydrogen generation suitable for a fuel cell, from the gases coming from the anaerobic digestion of organic waste (biogas). The use of new patented catalysts, specifically developed. An efficient conception of the process and the morphology of the reactors. the efficient propulsion of pico and nano satellites, since they would allow the orientation of small satellites with miniature propellers based on electronics, instead of in traditional fuel nozzles. 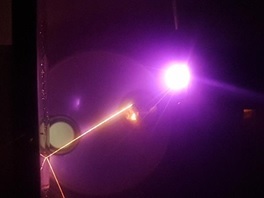 Direct electric generation through thermal sources, with the great advantage that they do not require a cold focus to produce electrical energy, converting directly into electricity the thermal radiation they receive. Quantum efficiency greater than 15% (currently not more than 10%). No degradation of the material after continuous operation exceeding 1,500 hours. 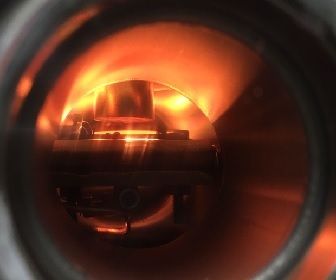 Currently, innovative thermionic devices in the solid state are being developed based on the novel materials successfully synthesized, and with which it is expected to obtain energy densities greater than 250 Watt-hours per square meter.